It was a cool and cloudy (typically English) May day when I traveled to Cambridge, one of the most historic and academically prestigious cities in the world. 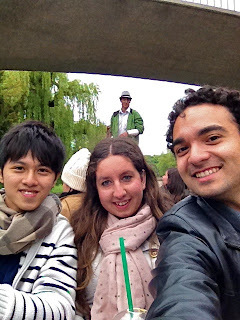 I actually lucked into this trip, thanks once again to Couchsurfing: A fellow couchsurfer, Ethan from Taiwan, had two extra tickets to Cambridge because his two friends weren't able to make it to London in time. So he graciously posted, and I responded. I invited my friend Ziva (visiting from Slovenia) to come along with us. Ziva and I met Ethan at Victoria Coach Station, bright and early, to catch our 8:30am bus. The bus took just over an hour or so, with most of that time spent just getting out of London. After leaving the motorway, it passed through fields turned bright gold from rapeseed flowers. The bus dropped us off at the edge of Parker's Piece, a big field just on the south-eastern side of the city centre. 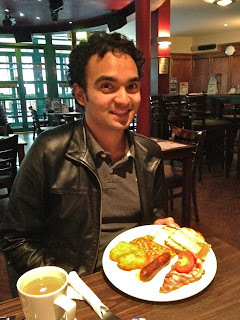 We were hungry, so our first stop was a pub to get an English breakfast. Nothing gets you going quite like beans, sausage, bacon, hash browns, and a fried tomato. And don't forget the tea! We then walked around, through the city center. 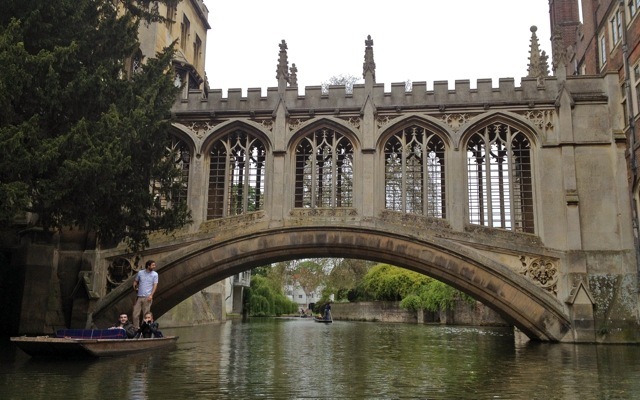 Ziva had visited Cambridge before, but it was as a young child, so she remembered very little of it. We eventually made it through to the river Cam, for which Cambridge is named, and took in the view. Compared to London, Cambridge was incredibly quiet and slow-paced! We then walked along the backs, a set of gardens that are part of various colleges. 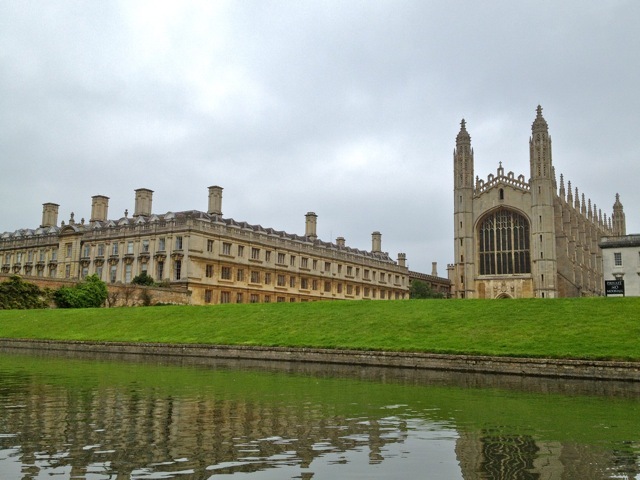 Cambridge University is comprised of several different colleges, including King's College, Queen's College, Trinity College, and Magdalene College. They're all famous and iconic. But, as a visitor, there's one important fact that you will be keenly aware of. 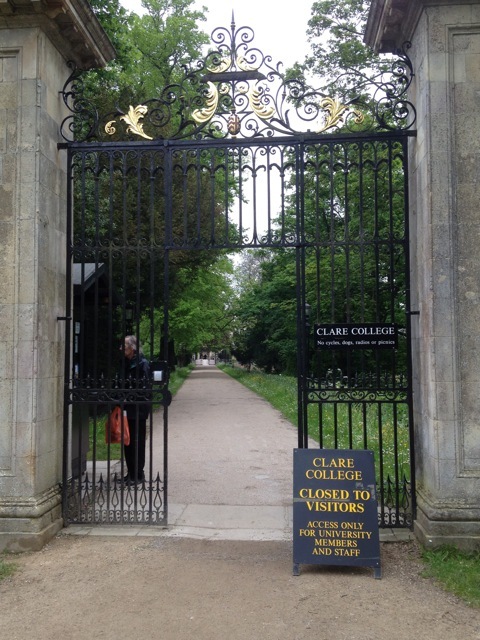 You are not allowed inside any of the grounds of any of the colleges! That's right, in a city famous for its university, people aren't allowed to visit the colleges themselves! 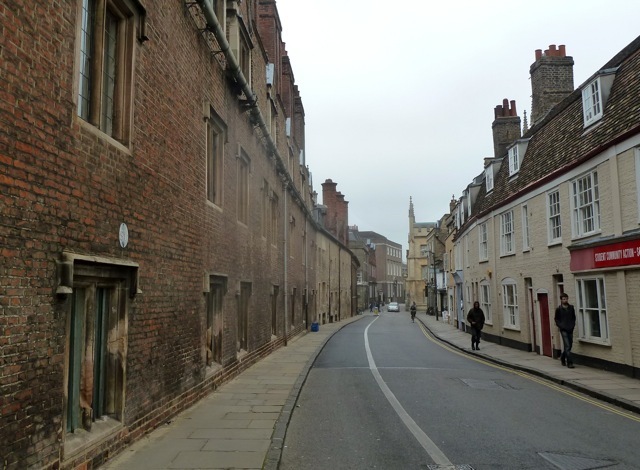 This means that it's extremely difficult to really get a good sense of live in Cambridge. It also naturally creates a division between the students and the rest of the city. But I guess this kind of elitism is what Cambridge is known for, right? Disappointed that we couldn't actually visit any of the colleges, we instead decided to do the other "must-do" activity in Cambridge: Go punting. It's a nice way to go; but you can tell it's incredibly touristy. 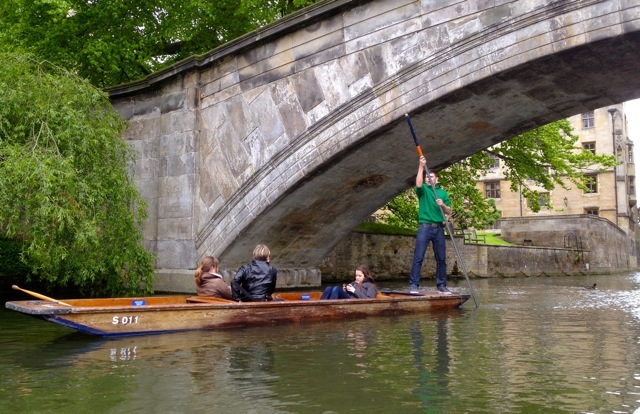 There are several river punting tours that try to convince you to go with them. I can't stand this kind of haggling/bargaining, but it was an easy way to get onto a boat, so we went ahead with one. The tour itself was pleasant, our guide pointed out some sights, but he wasn't the most enthusiastic. I could tell that he was just a student or something who was just given a script to memorize. 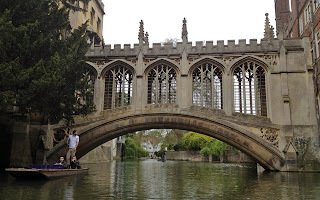 Nevertheless, it was nice to see some of the old academic buildings, including the bridge of sighs. It's impressive to think of all the history and academics that were developed behind those walls. It's just such a shame that you can't actually go behind the walls yourself. It's a poor example of unnecessary British societal stratification. Well, enough complaining about it. After all, Oxford isn't much better anyway. But there is more to do in Oxford. In any case, if you're in London and planning a day trip, I'd recommend Bath or Brighton before Cambridge.